To 1.5m height by 2m spread. Vigorous shrub with long, arching stems. Flowers in summer and autumn (repeat flowering). This is a repeat-flowering ‘hybrid musk‘ rose with a relatively long flowering season well into the autumn. Salmon pink buds open into light pink flowers with a centre of yellow stamen which have a medium fragrance. The foliage is mid green and slightly glossy. 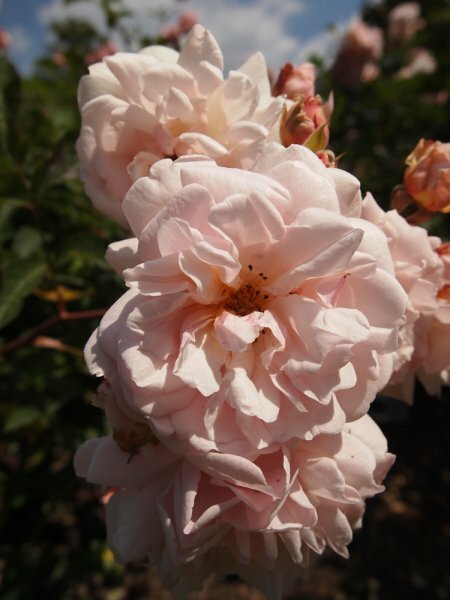 This arching rose is ideal for beds and borders in cottage style gardens. Can be useful as hedging/screening. When planting, trim the roots back to encourage new growth. 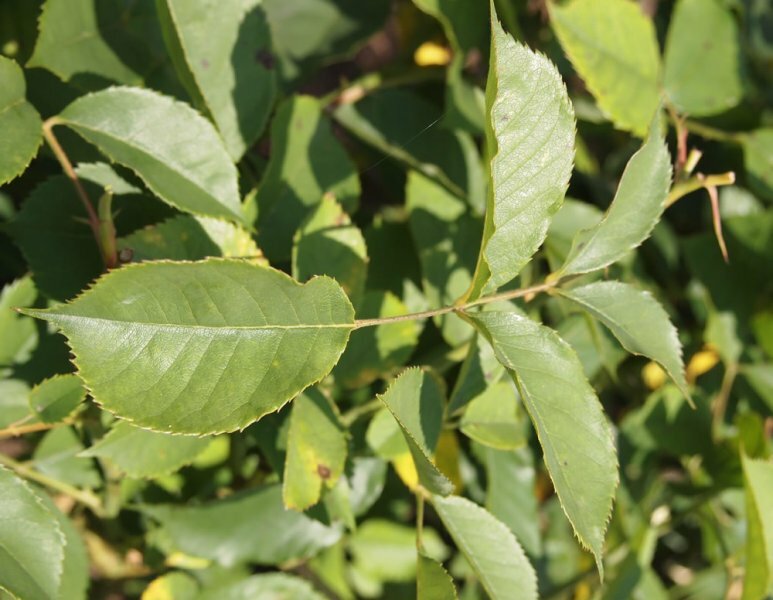 Adding mycorrhizal fungi when planting can help roses establish well. Ensure roses are well watered, particularly if they are newly planted. Hybrid musk roses respond well to feeding, which should be done in spring and again in midsummer. Feed them with a fertiliser containing nitrogen, potassium and phosphorous as well as trace elements of the more minor nutrients plants require – proprietary rose compound fertilisers are available which are tailored to roses’ specific needs. No pruning is required until the plant is established. At this point, prune in the dormant season (late autumn to early spring) to remove dead, diseased and damaged growth, and between one and three stems (depending on the vigour of the plant). Cut back the remaining main stems by 1/3 and side shoots by 1/2. 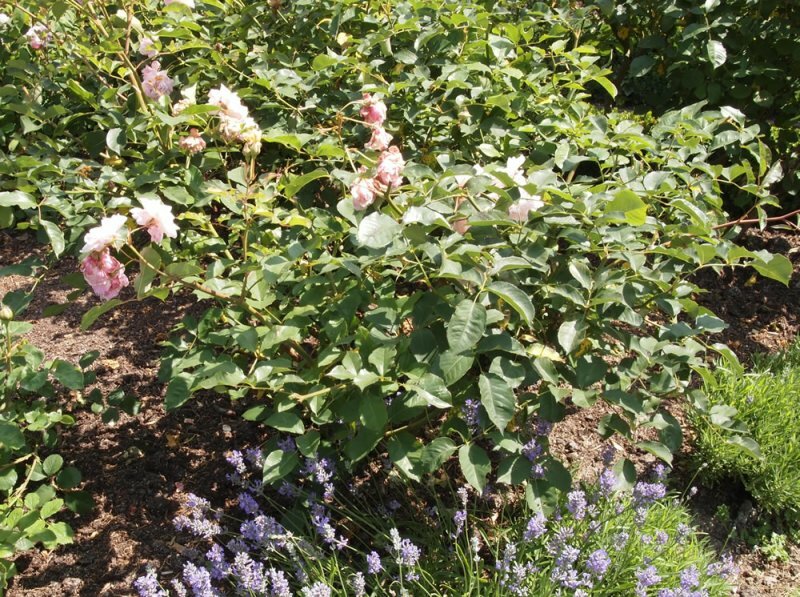 Most Hybrid Musk roses originate from the hybridisation of Rosa ‘Trier’ with various large-flowered bush roses. This hybridisation was originally done by the Rev. Joseph Hardwick Pemberton (1852-1926), a rose enthusiast, who lived in Essex, UK. His work was continued by his own gardeners after his death and by other since. He developed Rosa ‘Felicia’ by crossing R. ‘Trier’ with R. ‘Ophelia’ in 1928.